Balayage, unlike many other hair colour trends before it, seems to have a huge amount of staying power- and rightly so! 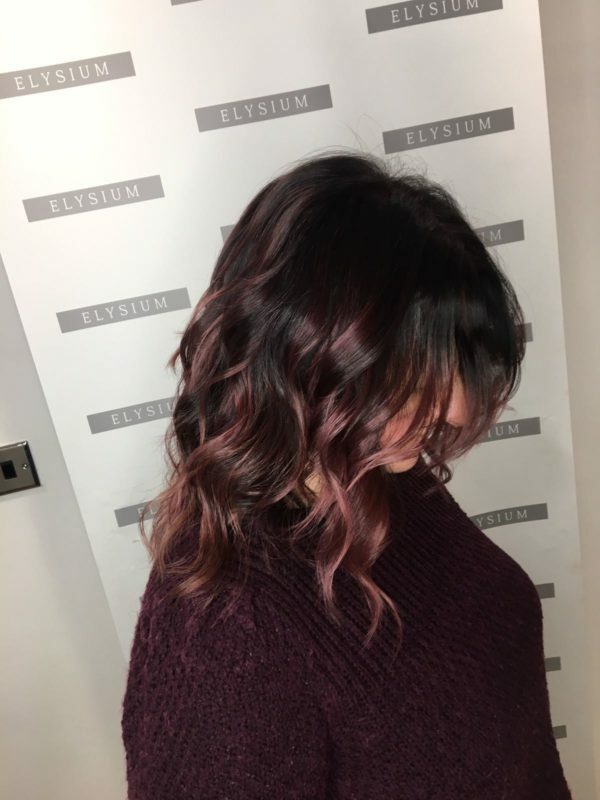 This bespoke, natural, timeless technique is one of the hottest hair colour trends for 2016, and we can’t get enough of it at our hairdressers in Swinton. Balayage is a French word meaning ‘to sweep’ or ‘to paint’. 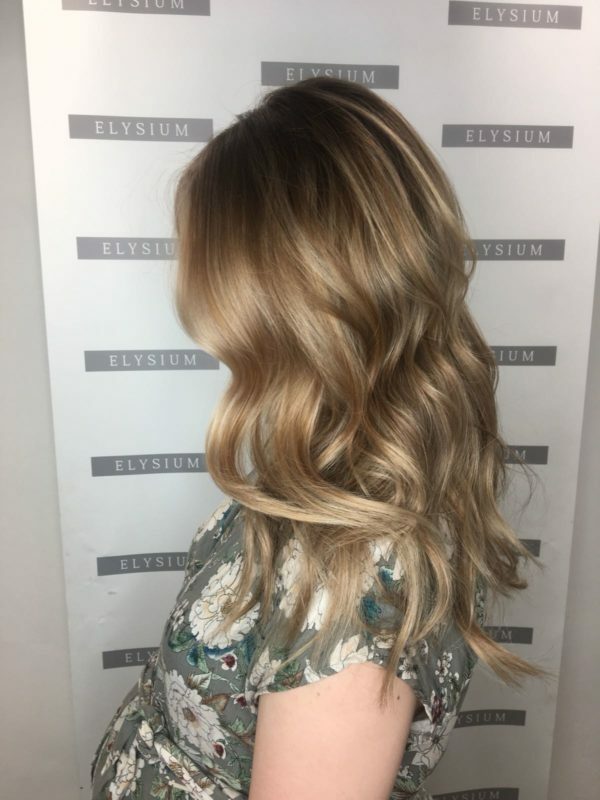 It allows for a sun-kissed natural looking hair colour– similar to what nature gives us as children – with softer, less noticeable regrowth lines. The principal idea being less is more when creating soft, natural looks, with the the finish being very soft rather than the uniform highlights that foils give. 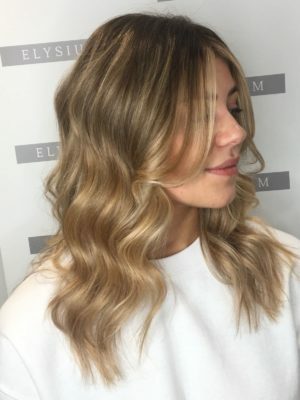 Balayage is often referred to as a ‘freehand technique’ because no foil or meche are used to create bespoke, natural looking highlights. It is applied on the surface of your hair and not saturated through the section until the very tips, in order to create a very subtle, sophisticated look. Both Balayage and Ombre are 4 to 5 hour services which consist of lifting, toning and personal colouring. The integrity of your hair is our first priority, so you may not always get the desired look straight away. We will only lift your hair as much as we think it can take. Natural hair is a blank canvas, so the results are much more achievable as opposed to coloured hair which can be a lot more stubborn (and take 2-3 sessions over a 6-9 month period). The healthier the hair, the better the results. 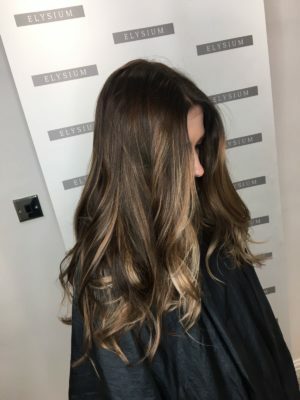 Does Balayage Hair Colour Require a Lot of Maintenance? 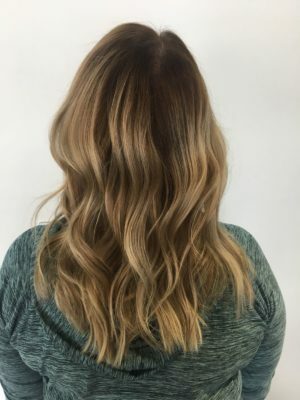 Balayage grows out beautifully and more naturally than other hair colouring techniques, so you don’t get an obvious regrowth line between appointments. Healthy hair is happy hair, and that will never go out of fashion! 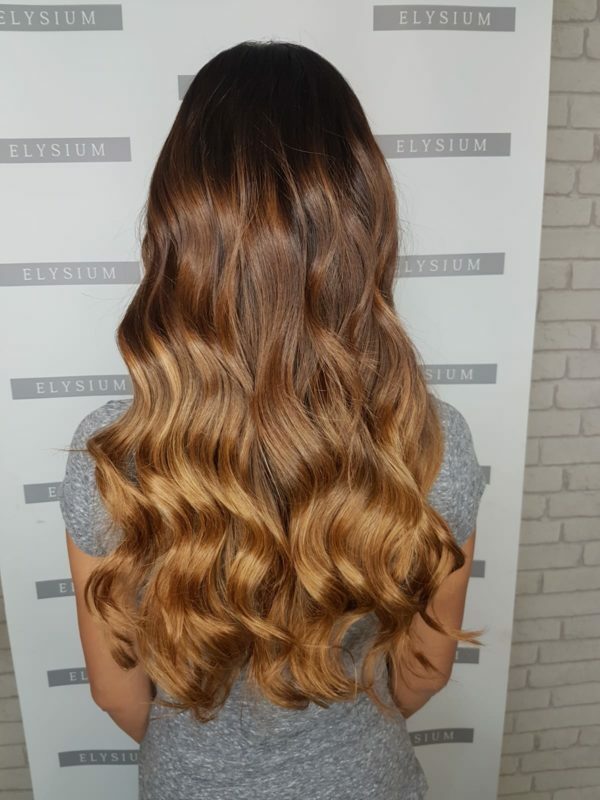 Balayage gives a gorgeous finish that looks healthy, glossy and sophisticated. It can be natural or strong, whatever you want, it’s all about the application technique. All you really need to do is protect your hair as you would do after any other colour: use a colour protecting shampoo and conditioner, regular treatments and heat protection when styling. 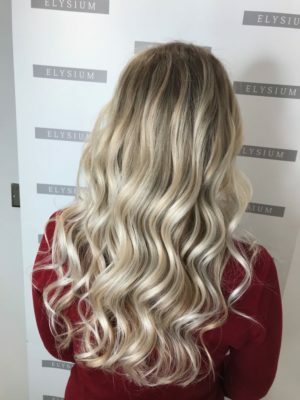 Our team of experts can recommend a routine suited to your own individual hair needs during your next visit to Elysium. Yes! Balayage works on both dark and light hair. Both Whitney Port and Jessica Alba are great examples of how balayage can work for different hair tones. Our team of expert colourists at Elysium will be able to advise you on the most suitable colour four skin tone and overall look. Balayage pretty much works for all lengths of hair, except perhaps very short cropped hair. Best of all? It’s totally bespoke to you. 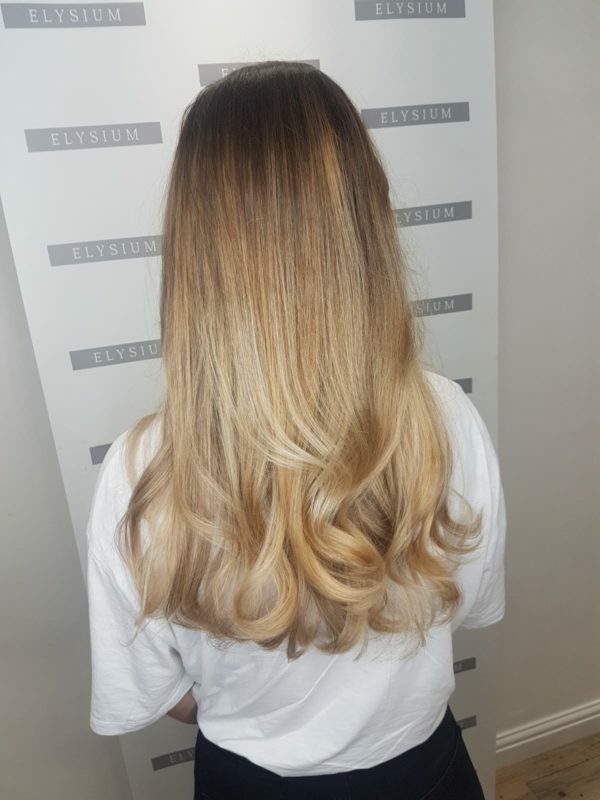 The balayage experts at our hair salon in Swintonwill be able to place the colour to suit your skin tone so it’ll look amazing and really light up your features. I Want Balayage Hair! What Do I Do Next? Balayage really is the dream hair colouring technique – it is low maintenance, looks bespoke, more natural, and is much more flattering than many other, harsher techniques. To book your Balayage appointment at Elysium Hair & Beauty, simply contact us on 0161 661 1166. *Prices are confirmed upon consultation during the skin/strand test – some clients need less/more so prices may vary. *Skin tests and strand tests prior to colouring are paramount. We won’t know what your hair will allow us to do – and also to make sure you’re not allergic! Balayage is a French word meaning ‘to sweep’ or ‘to paint’. Throughout the years techniques have changed and evolved, but it will always be a low maintenance colour. 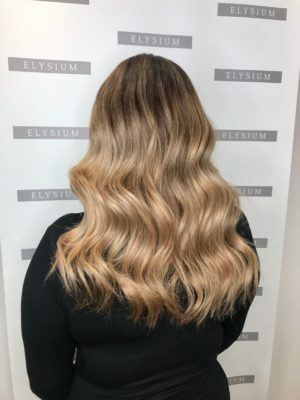 The beauty of Balayage is that you work with the natural fall of hair and completely tailor make it to each individual. Balayage is all about creating a natural soft look whilst looking completely effortless. Our team pride themselves on constantly keeping up to date with training and fashions although hair,beauty and fashion industries.